I stayed in two brilliant hotels in Copenhagen, each equally unique offering fun experiences and comfy beds to add a perfect addition to my weekend. Hotel Fox was full of individual rooms each designed by a different local artist, from my boxing room to Emma’s burlesque style room and Marv’s room filled with tiles and a rams head!? Yes, they were definitely unique and added a little something extra to my dreams at night. 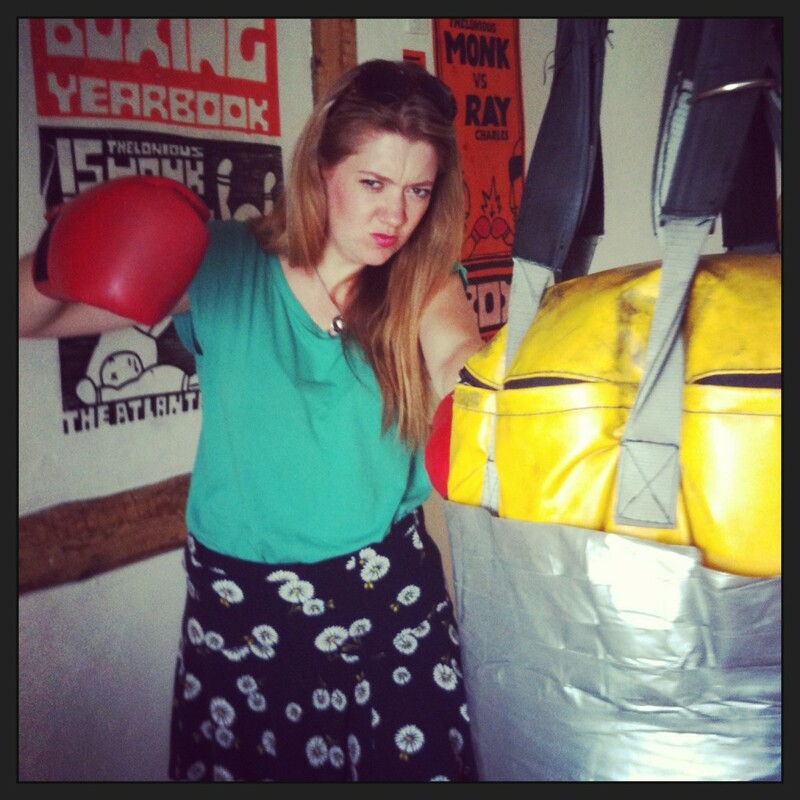 A boxing ring in my room?! AMAZING! The rest of the hotel was filled with crazy artwork and quirky Danish furniture and the best bit of all… the best G & T in the world… and you have it on my authority it was pretty damn good. The Andersen Hotel was a new, stylish hotel with loads of small touches that made you feel welcome and at home as soon as you walked in. From the coffee machine in the lobby where you can help yourself to a latte or mocha 24/7, to the delicious chocolate truffles left in my room. I had a smile on my face from the moment I entered the hotel, made only wider when I was lent another great bike to continue my cycling adventures around the city. I had so much delicious food from Smørrebrød to Sushi and Hot Dogs and burgers, I ate it all in Copenhagen, but easily the best meal of the weekend was the smushi at The Royal Smushi Cafe. 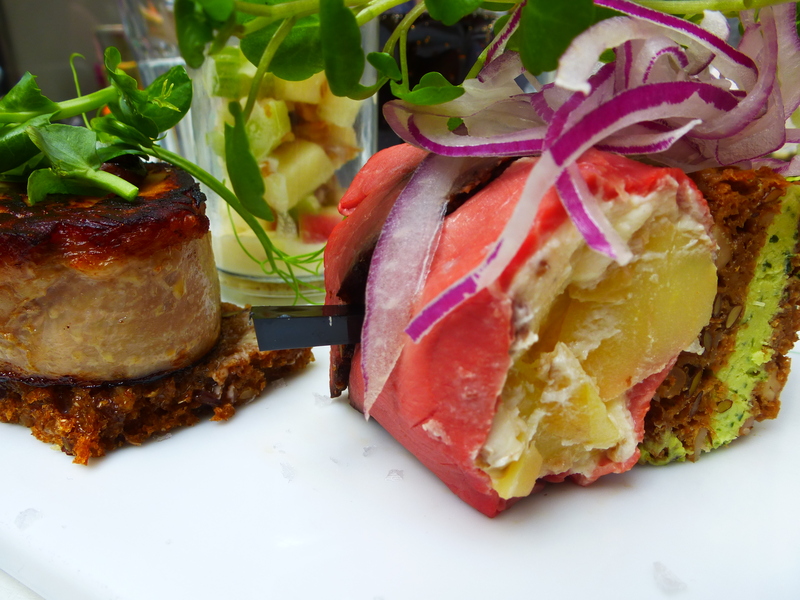 A beautiful mix of sushi and the traditional open sandwiches, Danish Smorgasbord. My only complaint was I wanted more. I’m hoping to bring Smushi back to the family deli, Basilia back home. YUM! Running up and up, round and round The Round Tower was well worth the 360-degree views of the city at the top. The clear blue sky made it even better. I recommend a visit. 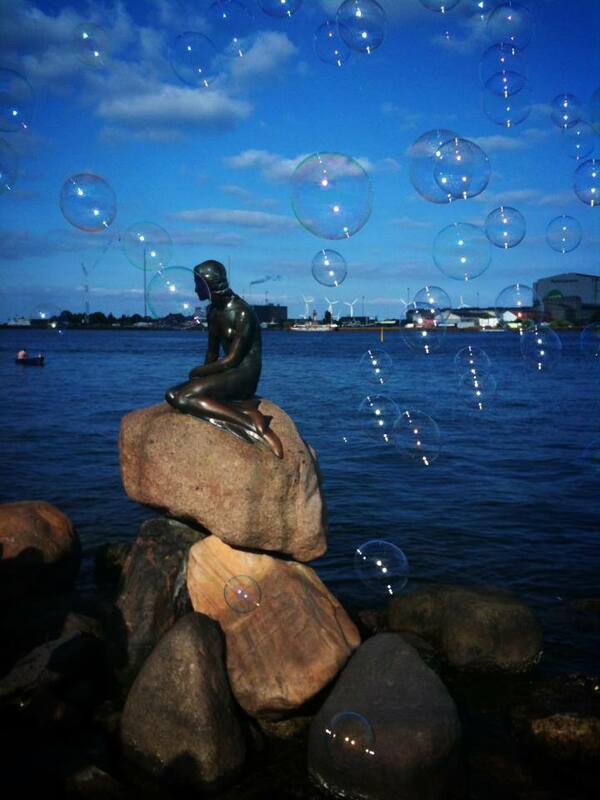 You can’t visit Copenhagen without saying hello to Hans Christian Anderson’s Little Mermaid. She may be small and slightly disappointing to many, but she certainly didn’t fail to be loved by me. Surrounded by a few too many tourists I still managed to be in my ‘bubble’ and live out my childhood dreams of being my very own mermaid. OK so this one is easy, so easy I wrote a whole blog post about it … get on one of those bikes and CYCLE … ALL over the city, visit parks, beautiful buildings, stop off in canal side cafes and get lost in the easiest place to ride your bike. You will love it! 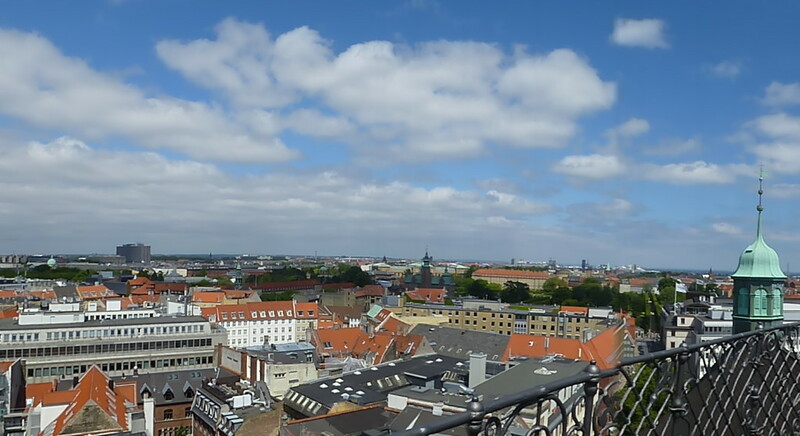 Thank you to Visit Denmark for organising our scavenger hunt across Copenhagen. These best bits are only the tip of the iceberg of our experiences. For more photos visit TravMonkey where I real-time blogged my travels across the city. 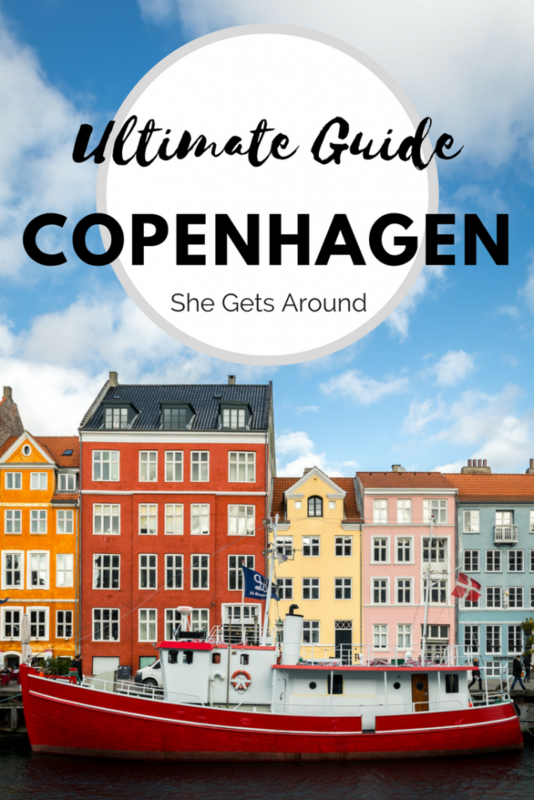 Love my city travel guide for Copenhagen? Then Pin It for later! Great tips Jen! I hope I get to visit Copenhagen one day. Those hotels look like so much fun! I wonder what theme I’d get! Thanks Ari. The hotels were great. I think I preferred the Andersen Hotel, but Hotel Fox is getting a refurb soon so will be amazing I’m sure. The rooms were super cool though. Wow! I absolutely love your blog. 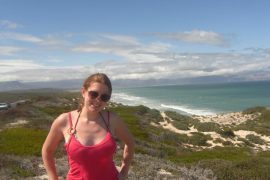 My dream is to travel the world- and man, you sure are living it! Do you have an account on Bloglovin’?? I’d love to follow your adventures! Hi Kayli, Thanks so much for your comment, so glad you love the blog. 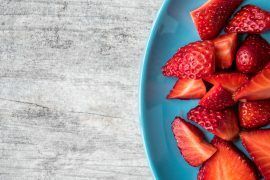 I don’t have an account on Blog Lovin, but I have heard about it so am going to do that now ASAP… good idea 🙂 You can also sign up on the right of my blog for updates. I will let you know when I am on blog loving. Good look with your travels I look forward to reading about them on your blog. 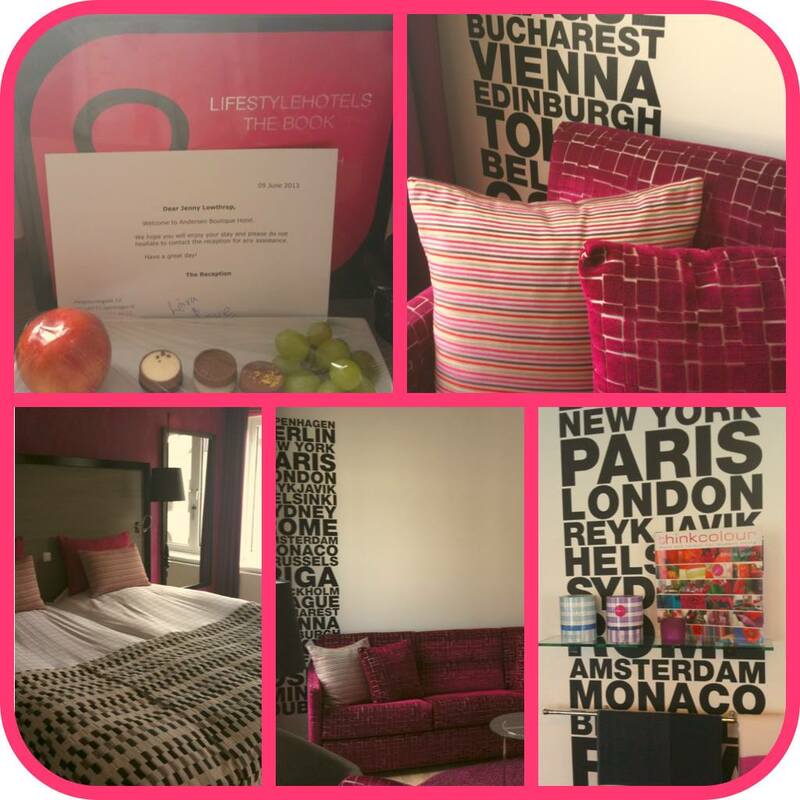 Ah the hotels look amazing; I love to stay on quirky places rather than chain hotels! Great advice. We stayed in the Anderson Hotel. A great central location with friendly staff and a free wine tasting hour during the week! It was a great place during the week. Though may get quite loud during the weekend. We cycled everywhere and in two days managed to see most of this great scandinavian city. Thanks Jez. So pleased I helped you find a top hotel. 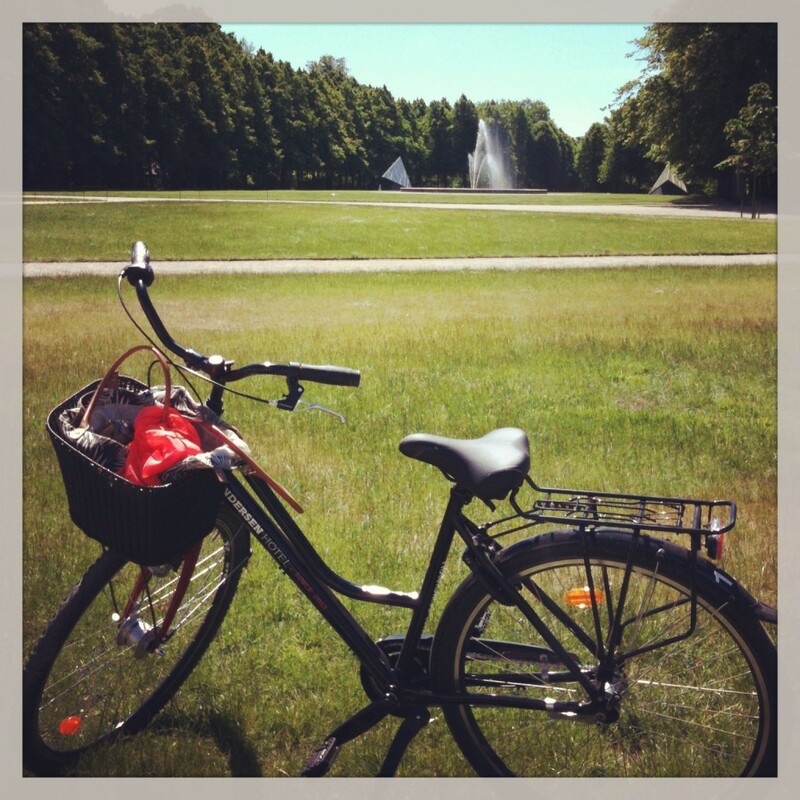 Cycling is definitely the way to get around Copenhagen.